Whether you are expecting your first child, or adding to your brood, it can be overwhelming for any Mom-to-be to know where to start when it comes to staying healthy during pregnancy. Not only will you experience the obvious physical changes, such as going up a few bra sizes, fluid retention and an increased appetite, but the sudden influx of hormones coursing through your body can also have a big impact on your emotional health too. During pregnancy you are sure to get advice from everyone – from your doctor or health professional, to co-workers, family members and friends who are already growing their families – about what you should and shouldn’t be doing to keep healthy while pregnant. Taking care of yourself during pregnancy will depend on you, so it’s essential that you read up and plan how you can keep yourself, and your baby, as fit and healthy as possible. First and foremost, you will want to consider your prenatal care once you know that you are pregnant. In the first meeting with your doctor or health professional they will check the date of your last period and conduct a physical examination to determine how many weeks along you are. You can also expect an ultrasound to be completed later during your pregnancy to determine your due date. Remember you are not alone and there is a wealth of information out there to help you make sure that you and your bump are as happy and healthy as possible. Sites such as Pregnancy Health offer a full range of tips and advice for expectant Moms, providing you with information from conception right up to birth. Now that you are eating for two, it’s even more important to ensure that you eat regular, balanced meals to keep you and your baby healthy. 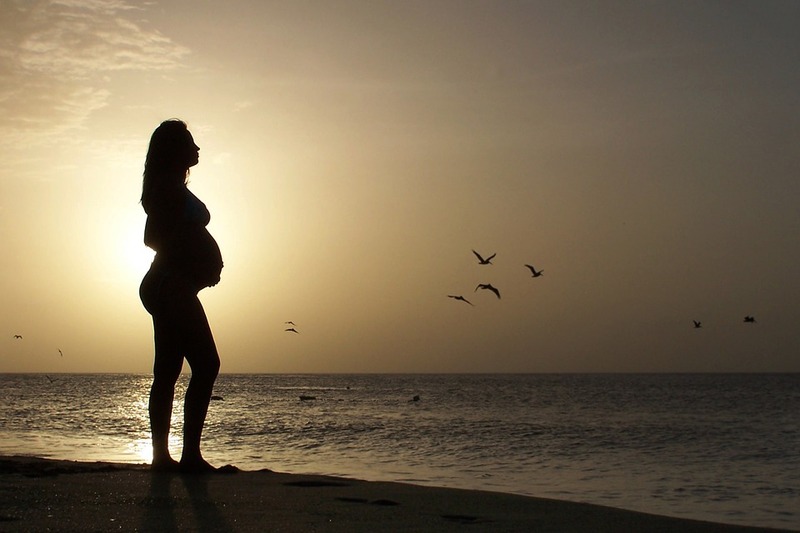 Remember that your growing bump has only one source of energy – that’s you. So now is not the time to skip meals or go on a strict calorie controlled diet. According to advice from the U.S. Department of Health and Human Services, pregnant women should get at least three servings of fruits, four servings of vegetables, six to nine servings of grains or cereal, and at least four servings of low-fat or nonfat dairy products every day – so be sure to plan your meals accordingly. During pregnancy it’s also incredibly important to take extra care at mealtimes too. Be sure to cook all meat and fish thoroughly, and avoid eating eggs unless they are thoroughly cooked. If you are a social smoker or drinker then now is the time to stop. Growing babies can’t cope with cigarettes or alcohol. In fact, you could put your baby at an increased risk of low birth rate, miscarriage, stillbirth, premature delivery and a range of other health complications. It can be difficult knowing which pills and remedies are ok to take during your pregnancy, but remember that the medicine cabinet isn’t off-limits just because you are carrying a child. If you already suffer from a chronic condition such as high blood pressure or diabetes, be sure to schedule in an appointment with your doctor or health professional to find out which medication best suits you. Morning sickness can also pose a problem for some pregnant women, so if you don’t get better by diet or lifestyle changes alone then raise this issue during your next consultation. Most Moms benefit from taking a prenatal vitamin and mineral supplement during pregnancy (and beforehand if you are organized). Just consider this supplement as an insurance policy, ensuring that you are getting the right amount of crucial nutrients during those nine important months. Prenatal vitamins contain higher levels of folic acid and iron that you won’t be able to consume through diet alone, so do make sure that you incorporate a prenatal supplement into your diet. The extra weight and pressure on your joints is going to make you tired – growing a baby is hard work! So be sure to schedule in time for some rest and relaxation. From yoga classes for pregnancy to enjoying time with friends, make sure that you have some you time to take a step back and unwind. If you find it difficult sleeping or can’t get comfortable, relaxation techniques or investing in a new pillow could help you to bed down with bump for the night. You won’t be getting many full nights when your little one arrives, so make the most of it now! Even if you’ve spent years in the gym or are a regular class attendee, there’s no reason to stop just because you are pregnant. You can still keep up your daily physical activity, but you will have to make a few small changes. Exercise isn’t actually dangerous for your baby, but you may want to slow things down and try out new classes to see which suits you and bump best. Remember that your body will change during each trimester of your pregnancy, so be sure to consult your doctor or a representative from your gym or health club if you are unsure. Now you are eating for two, taking time to exercise and rest, not to mention getting those vital vitamins on board, you can enjoy your pregnancy glow. Most women are so focused on the birth itself that they don’t enjoy the unique experience that pregnancy brings. Adjusting to your growing belly can be stressful, but you can help yourself by making small changes to adjust to your mixed feelings and emotions. From enjoying a bubble bath, to receiving a relaxing foot massage from your partner, there’s no reason not to enjoy your glow. You could also consider keeping a pregnancy photo diary to document each month with your baby before they arrive, as a special keepsake for years to come – not to mention those questions your kids will ask as they get a bit older. So, enjoy being queen for a day, for a full nine months, and embrace this truly unique and special time.